Two months ago, we asked our readers who they thought should win the Eurovision Song Contest 2018, ahead of rehearsals. And now we can reveal that their answer was Israel. “Toy” was an instant hit on release and consistent favourite with the bookies. Netta won the poll with 8% of all votes (5336) cast. Israel will perform 22nd on Saturday night. Her nearest rival was eliminated on Tuesday. Belarus‘ Alekseev placed second with 7% of votes cast (4884). His strong showing in our poll did not translate into success in his semi-final. Spain‘s Alfred & Amaia round out the top three. Love’s young dream won 7% (4066) of all votes cast. Their tender ballad “Tu canción” has charmed hearts across Europe, but tomorrow night has a tough job of succeeding from second in the running order. Fourth went to Albania‘s Eugent Bushpepa who sailed through the first semi-final on Tuesday night. He won 5% (3463) of all votes cast in the poll. The final act in the top 5 was also eliminated. Greece‘s Yianna Terzi impressed in the studio, but found success elusive on stage. She won a further 5% (3394) of votes cast. 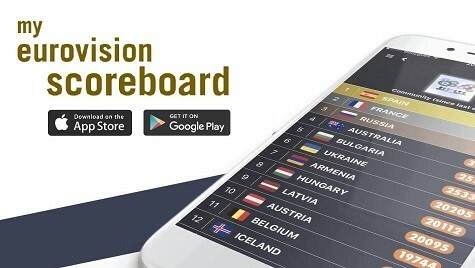 Cyprus (5%), Ukraine (5%), Portugal (4%), France (4%) and Bulgaria (4%) round out the top 10. At the opposite end of the spectrum Lativa, Serbia, San Marino, Georgia, Montenegro and Iceland placed in the bottom six. Five out of those six were eliminated in the semi-finals. A flash poll for who should win will open shortly. It’s time fat people to win, go Israel! I love your message. Come on guys. She can’t move her hands. She seems lazy on stage. Eleni is so great performer. This will be the top five ladies and gentlemen, in that specific order. France first? No way! 5-12 place. Mediocre song…. Nicosia 2019. Look at the odds. 1/1 Cyprus! The biggest favourite of all time! Love Netta and TOY! the best this year. so creative, something new and fresh for this competition. good luck! The Big Final of the Eurovision Song Contest 2018 is here and Gato’s Eurovision FINAL Poll has just opened! So, what are you waiting for? Go vote, see the results changing LIVE and share with all your friends!! How is Sweden’s and Cyprus’ plastic manufactured songs worse than Israel’s plastic manufactured song? Cyprus is inspired by Beyonce, Sweden is inspired by Timberlame and Bieber, Israel is inspired by kpop. Let’s face it, they are all just catchy fun songs, not high art. But at least Cyprus doesn’t pretend something it’s not, and doesn’t have airs and graces Sweden and Israel seem to have. Cyprus is 1st in Jury and Tele voting of course. All juries vote for Eleni. She is a great performer. Her dance is unique. She will promote the contest all over the world. She can do it! No one else and that’s the truth! Non c’è niente da fare, la musica portoghese è sempre la migliore. Not a chance. So boring and it have no refrain. Will be in the bottom. Probably 20-26th place. Last year the was boring too. Ok, i think you don’t like Savador, but don’t underestimate the Portuguese song. I think many surprises surprises will happen saturday. I actually love Salvador and his song. But this song is much worser. And it will probably be at 20-26. No, the kids (not me, I obviously know the song before) were confused and found it weird, that’s it. Ok. I understand you love the song. But a masterpiece…are you serious? I still think Portugal is one of the favourite to win. It’s not good in front of fuego. It’s mediocre. It’s just best in front of fuego which has no soul just fireworks like a video of shakiyoncé. Same thing will happen with this song…. I’m betting Netta will NOT win. She’s much like Italy’s entry last year, expected to win but ended-up in 6th place. She’s top 10 for sure though. I’m 100% certain Cyprus will win. The song is awful, but Eleni will impress. i agree with you, but don’t forget portugal song. If not a winner, but at least Ireland will get 2nd place. Yeah, but what of it? Isn’ Eurovision supposed to be about love love peace peace between countries? What’s wrong with collaborations between nations? Most of the songs are written / produced/ staged by multinational teams. Same with backing vocalists and dancers. #MeToo movement VS another gay Diva. Let’s see who wins! Why do people favor cyprus over israel? Eleni’s preformance abilities are amazing but the song is so generic and forgettable (mark my words in 4-5 months no one will be listening to it). Plus her dance routine is basically beyonce, nothing we haven’t seen before. Honey, almost everyone at Eurovision is working in multinational teams: writers, composers, producers, singers, directors, dancers, backing vocalists. It’s not just Cyprus – should we ban all of them then? The notion that everyone working on the song should be nationally pure is somehow.. wrong, limiting and sort of xenophobic in this day and age? Netta and Toy will be in places 3-8 and 100-200pts behind Eleni and Fuego! Who is team Netta? Lets vote guys and support! For me our Netta already won. I love many songs in the competition including Cyprus, Hungary, Denmark, France, Lithuania, Italy, Germany Albania to mention a few and they all could be great winners. Netta did what no artist did. Few months ago no one in Israel knew who she was and now hundreds of millions know and love her. With over 45,000,000 views to her video she inspired millions of heavy boys and girls to be and love who they are and for that only she is my winner no matter who will actually wins. I adore you Netta! Or the 3rd place, SPAIN WINNERS OF EUROVISION 2018!!! I remember voting for Iceland out of spite.